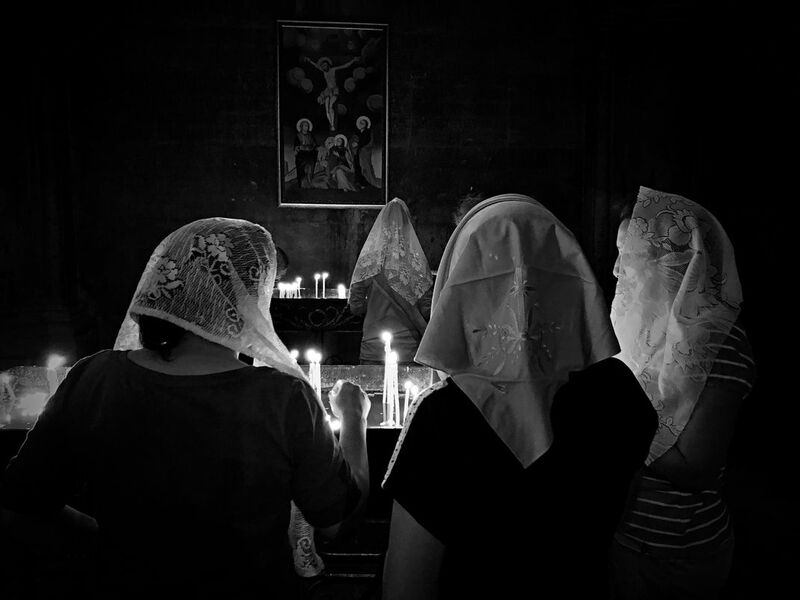 Armenian women pray in Yerevan. I was visiting an ancient Armenian church, and I was struck by their white veils contrasting with the darkness of the place. Date Uploaded: July 31, 2018, 4:52 a.m.